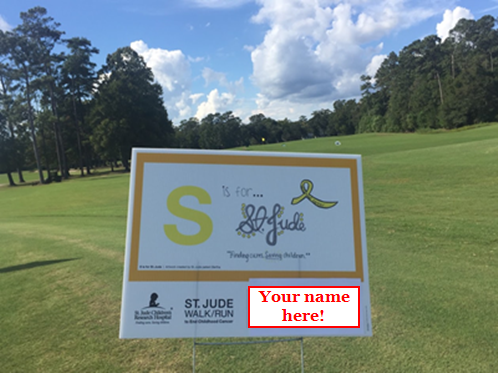 Thank you for supporting St. Jude at this year's golf tournament! We had another successful year raising money for St. Jude Children's Research Hospital and already are looking forward to next year's golf tournament. Can't join us this year? That's OK, you still can help! Click here to make a donation to St. Jude.